Hello, all fans of fairy tale stories! Are you ready for our newest game with the fairy tale theme? 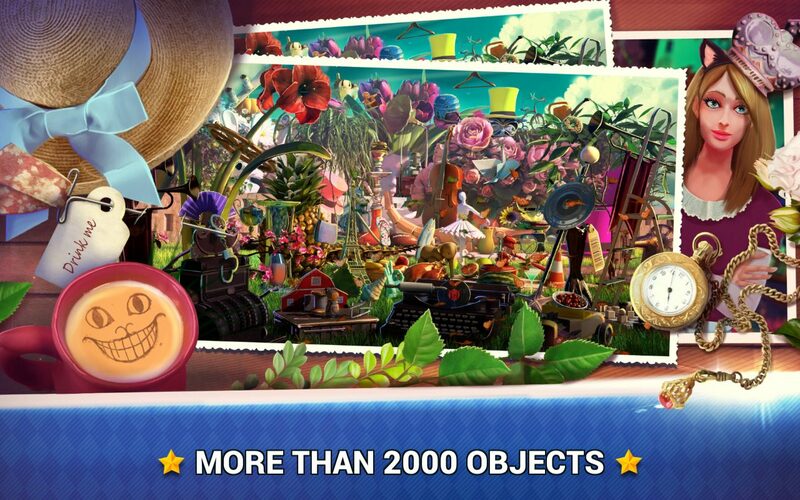 Hidden Objects Wonderland – Fairy Tale Games has arrived on your phone and now you can become a fairytale princess or a prince charming in your own little world of imagination. 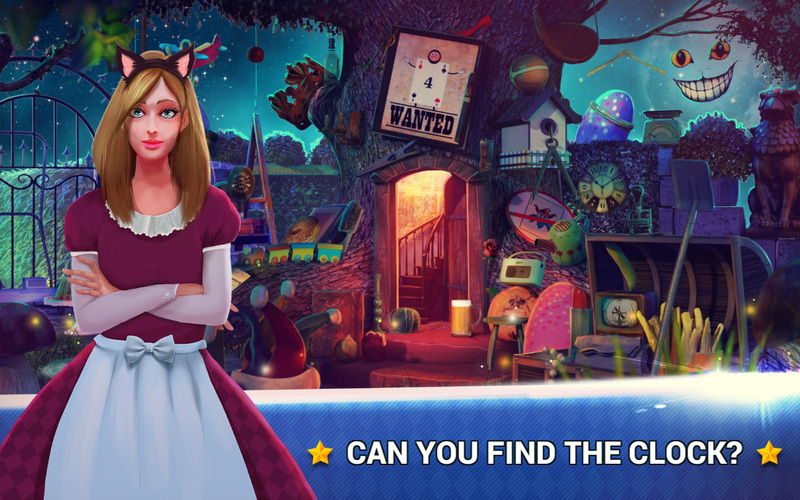 Our latest hidden object game is inspired by Alice in Wonderland and her adventures. Therefore, if you’re looking for fairytale games which will take you to wonderland and introduce you to the Mad Hatter, the White Rabbit, and the Queen of Hearts, download the best hidden object story games and have crazy fun in the upside-down world of fairy tale kingdoms. 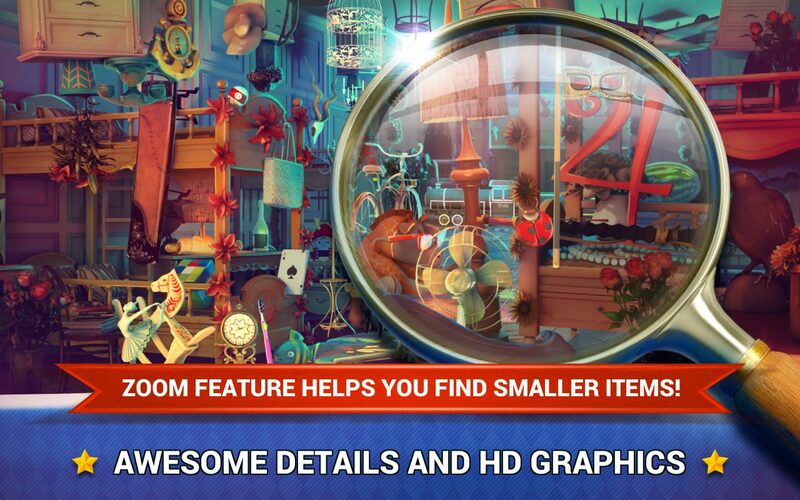 First of all, help little Alice find hidden objects in pictures of Wonderland and enjoy playing the best hidden object fairy tale games. 🍄 Hints –when you need help! Hidden Objects Wonderland – Fairy Tale Games – a brand new game by Midva from the collection of hidden object mystery games. If you liked Alice in Wonderland fairy tale, you will enjoy this hidden object adventure to the fairy kingdom. Run away from boredom and hide into the mystery world of imagination and never-ending fun. Also, if you like fairytale stories such as Cinderella, Snow White, and Sleeping Beauty, this will be your favorite hidden objects fairy tale game. 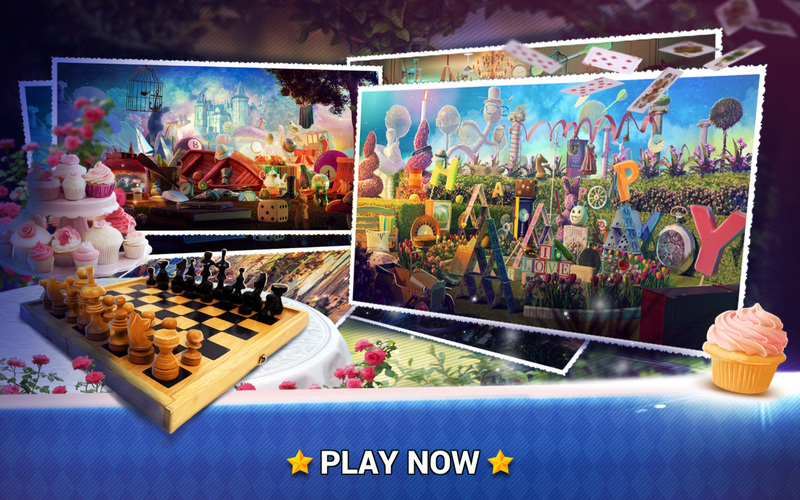 Discover all the secrets of the wonderland in the best seek and find game. Hence, climb to the enchanted castle and enjoy looking for hidden objects in the enchanted forest. The best fairy tale games with levels are waiting for you!